It is raining pink in our house these days and I am soaking up every bit of it! Little Miss Pinkalicious has us wrapped so tight around her little finger we can barely breathe. I just know she is going to be all things girly so I am practicing my pink and sprinkle dessert skills now! Crumble cake mix and set aside. Melt white chocolate chips with Crisco in it. 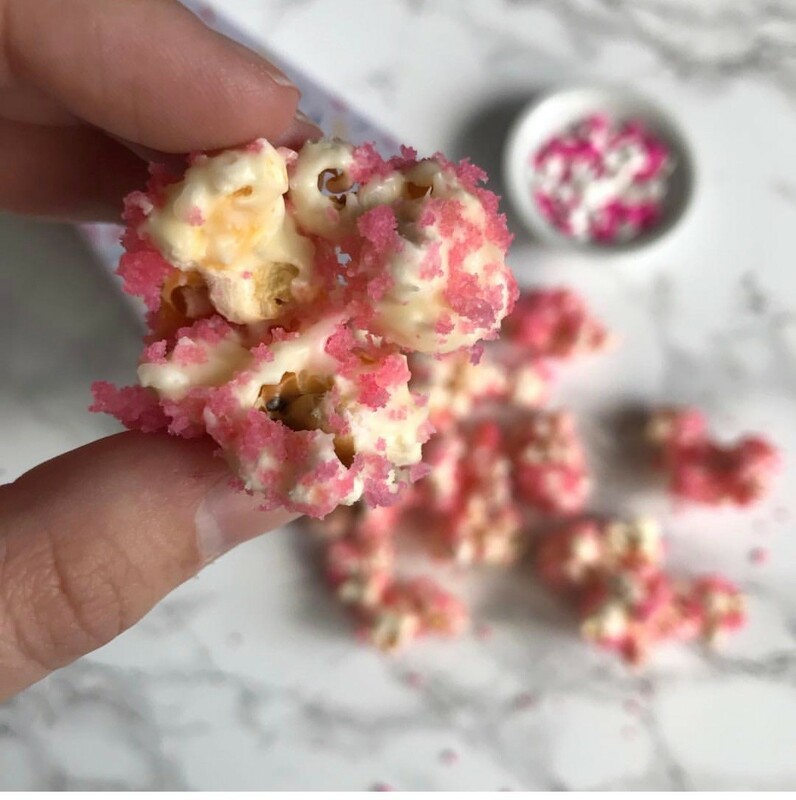 In a large bowl toss popcorn and melted white chocolate. 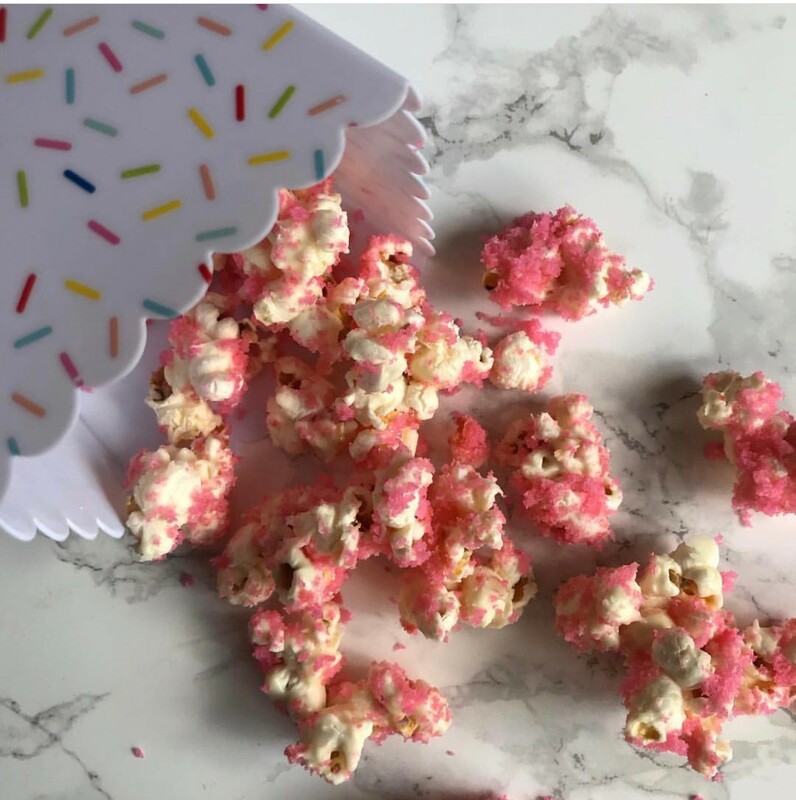 Spread out onto wax paper and sprinkle with cake crumbles. Let chocolate set.